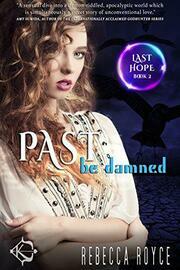 Ripped from her life and her loves, Teagan spent five hellish years in a demon infested mine. The darkness she experienced, living on within her long after her rescue. Lost without her loves, she worries as the darkness grows—she will not become the evil they have faced. Sacrificing her identity will protect those she is supposed to serve…and after everything else she’s paid, Teagan sees no other choice. Thaddeus, Aidan, Noah, Eric, and Brody live for one reason—revenge. They will destroy Sister Superior for her part in the death of their love. Battle and hate fill the void where their Sister should be, but when they get word that Teagan might be alive—nothing will stand between them and the woman they love.